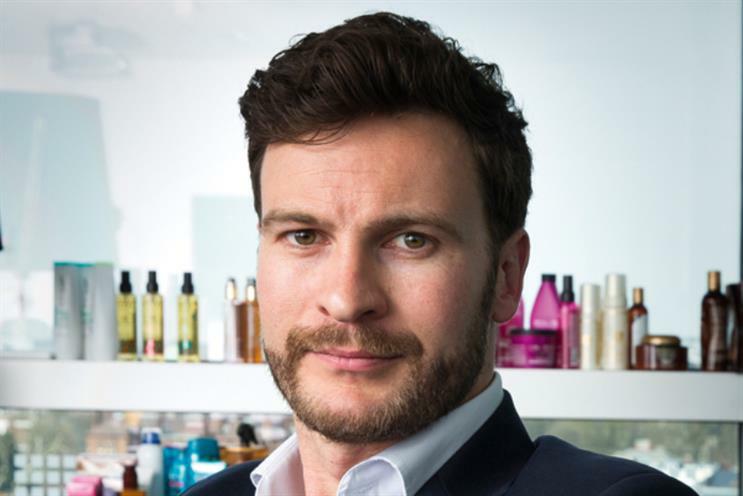 Fresh from spending time in Vietnam, L'Oréal CMO Hugh Pile has been thinking about the pace of change and 'upskilling' its staff in digital to better cope with that the future brings. Nine months ago, I was living in Vietnam – a land of loud noises, bright colours, intense heat and an electric pace of life, it felt a world away from London. With the arrival of spring, I’m reminded how much I love my city and how beautiful is it when it emerges from the grey of winter. It’s a reminder of how good change can be. It is now eight months since my arrival at L’Oréal UK & Ireland. I was brought into the new CMO position to bring a healthy dose of revolution to our business model, driving the consumer to the heart of our daily decisions. At the same time, I get to push boundaries in terms of new partnerships, technologies and media models, and ignite even more creativity from the teams. Despite the ‘training’ I had from life in Vietnam, I wasn’t prepared for the pace and dynamism here. The speed of change is breathtaking. We have 28 international beauty brands in the UK and Ireland, from which we launch hundreds of new products each year. To remain market leader, we hunt out global trends and accelerate them, and there always seems to be something going on. Boredom is impossible. As a core part of driving this change, I’ve been revamping our marketing training programmes, and this month has been all about ‘upskilling’ digital. We’re training every marketer, whether they sit in digital, comms, operational or trade, in what it means to be a digital expert: search, CRM, content, social, analytics, ecommerce, programmatic and more. This has been a rich and rewarding challenge. L’Oréal has traditionally existed in divisional business units. The programme was intended to provide something that transcended these divides, bringing together one holistic community. It was wonderful to see just how energised everyone was by it. The only scary thing is, with the speed of the external change, I clearly need to attend every module as well. The never-ending knowledge gap for us all was further confirmed at Advertising Week, where I got to rub shoulders with the glitterati of the advertising and media world (all Marketing readers, of course). It’s frightening to see the change we are experiencing in our industry at the moment; there’s a need to balance embracing the future with not throwing out the proven from the past. That said, one message shines out regardless, and it motivates me every day: that despite all the change, only creativity truly cuts through. To aid my own personal development and help me better get to grips with change, two weeks ago I found myself on a small farm north of Paris, attending a course on ‘accelerating transformation’. This involved me theorising on change practices with leaders from across the business as we built our own visions of how to instigate organisational transformation. I learned a great deal and, since I returned, I have been striving to put these lessons into practice, inspiring the teams with potential game-changing alliances to accelerate our growth. Yesterday, we ran workshops examining the offerings from newer tech­nologies and some exciting innovative partners; we looked at whether neuroscience methodology can help improve our consumer understanding, examined whether we should embrace one-touch mobile purchases and reviewed what the latest exciting new content solutions could bring to a digitally savvy and inspiration-hungry make-up junkie. Fortunately, our people are given the freedom and responsibility to truly make a difference, so there’s a huge appetite to embrace change. Even in my relatively short tenure to date, our marketing activity has changed rapidly, expanding in its breadth. The recent signings of Helen Mirren (as L’Oréal Paris spokesmodel in October) and Twiggy (brand muse for L’Oréal Professionnel in January) underlines our commitment to an older consumer, while for those who enjoy gadgets, we’ve run activity around sharing personalised make-up tutorials with Google Glass on YSL. Since joining, there’s been change for me too, albeit of the physical type. My hair is undeniably bigger, my skin clearer, and I now have a beard. I’ve even seen how I look with a bit of red lippy, thanks to our L’Oréal Makeup Genius app – a seriously impressive technology that allows users to try on our make-up virtually (using augmented reality). That’s maybe one change that’s not going to stick with me in the real world.